Bishop Hall was built in 1911-12 as Miami’s second women’s residence hall. A full building renovation was completed in 2013. 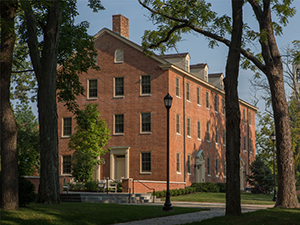 The hall was named after Miami University’s first president, Robert Hamilton Bishop who held office from 1824 to 1841. From the time it was built, portions of Bishop were used as a hospital and in 1918 the whole building was needed due to the influenza epidemic. Today, the hall houses upper-class students. 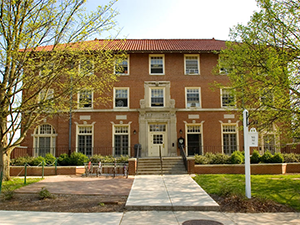 Bishop Hall is located on central quad and is conveniently close to King Library and is across the quad from Bell Tower Place in Ogden Hall, and a short distance from the Armstrong Student Center. 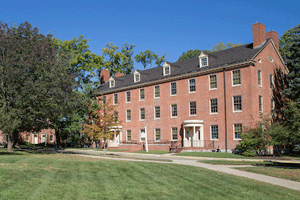 Elliott Hall, located on central quad, is the oldest building on campus. It was completely renovated in 2012. 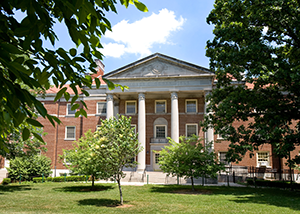 The hall was originally designated as Washington and Clinton Hall, which was commonly called the North Dorm. In 1937, after renovation, the hall was renamed for Charles Elliott, who was a prominent and beloved professor of Greek at Miami University from 1849-1863. It is modeled after Connecticut Hall at Yale University. Elliott is conveniently located across from Bell Tower Place and a short distance from Armstrong Student Center. 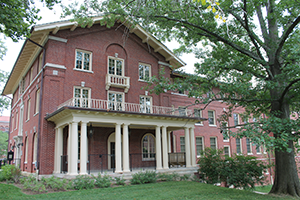 Stoddard Hall was the second residence hall built on campus. A full building renovation was completed in 2013. It was originally called Old South Dorm. The hall was renamed for Orange Nash Stoddard in 1937. He was appointed professor of Natural Sciences from 1845-1870 and Vice President of Miami University in 1845. He remained on the faculty for 25 years. He also served two brief terms as acting President of Miami University and was a member of the Board of Trustees. Stoddard Hall is close to Bell Tower Place. It is a short distance from Armstrong Student Center. Wells Hall is named for William B. Wells who resided in Oxford and whose bequest made possible the purchase of the land on which Wells Hall was constructed in 1922-1923. This hall conveniently located near the following dining facilities: King Cafe, Maplestreet Station, Bell Tower Place, and Armstrong Student Center. Bunk bed safety rails provided upon request; submit a request using your MyCard room repair online form after you arrive.